Hope all are doing good. 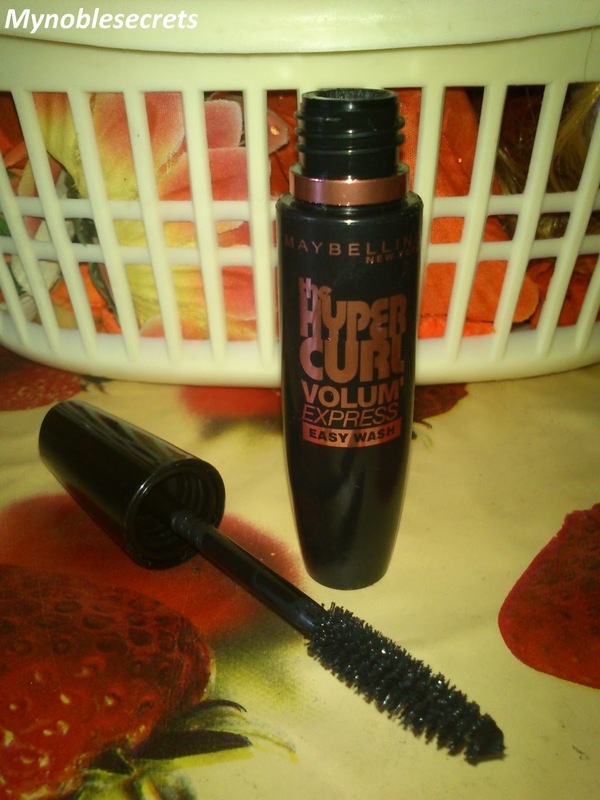 Today I am going to post Maybelline Hypercurl Volume Express Easy Wash Mascara. This is a bending Review, and today got some free time so making all pending reviews live. 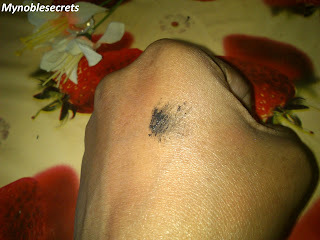 When I reviewed Blue Heaven Mascara My Friends Neisha and Nisha suggested me this one. Actually they meant Yellow wala one, But I don't like water proof one. So, I have bought this one Easy Wash. Let's see about Maybelline Hypercurl Volume Express Easy Wash Mascara. The Maybelline Hyper Curl Volume Express Easy Wash is enriched with active ingredients to keep you lashes soft and supple. Also, this Very Black Shaded Express Mascara will add that smoky look to your lashes. Hyper Curl Volume Express Mascara will curl your lashes in the most unique way. You can apply this Mascara to your workplace and look stunning till the end of the day, as this Volume Express Mascara long lasting. 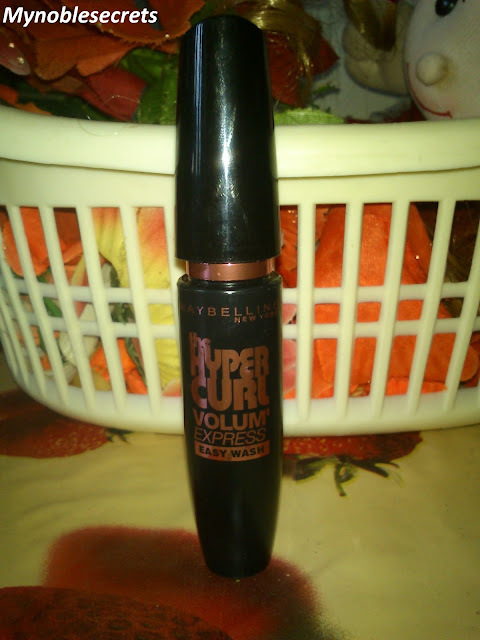 Additionally, this Maybelline Hyper Curl Volume Express Mascara will not clump and give you those thick lashes. Move the brush on your lashes from the root to tip. I got this Cute Black mascara from Flipkart. This Mascara is Easy washable and very thick, creamy in texture. I fall in love with this mascara every time of application. The Mascara Brush has a blended end that can curl up the lashes very well. My lashes getting extra volume really when I am applying. It just makes the lashes to stand well and dries up quickly. The packaging is travel friendly which comes in a black small sturdy plastic tube. The mascara wand is an awesome one with this mascara which will helps you more in the mascara application. I have read so many good reviews on this mascara among beauty bloggers. This is my HG mascara till date. Easily washable that I can just wash it by plain water well. I didn't find any irritation or allergic reaction when using this Mascara. It has no chemical smell too and stays for a long time with the apply time freshness. You can see the creamy and thick texture of this Mascara., this creates a good and thick eyelash look and make a dramatic look for the eye makeup. Comes in a cute Black pack can be carried along with us easily. Gives thick and creamy texture to the Lashes. No irritation and allergic reactions, so safe on sensitive eyes too. Have a blend in it's applicator that helps to curl lashes. Just 2 to 3 coats you will get a good well set lashes. Very light weight that makes lashes to feel comfortable. This mascara is drying quickly. Pretty eyes. I had this one in waterproof type. Yes, as you told waterproof ones are tough to take off! very gud review radha.. thank i ordered this one... its yet to arrive.. waiting to try it out soon! !